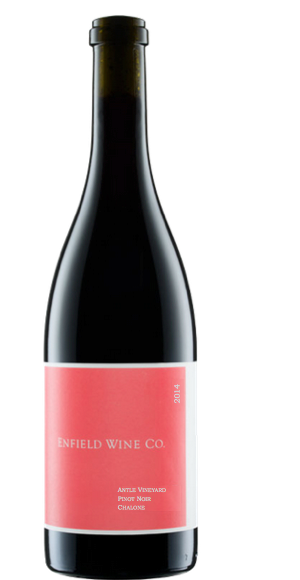 Powerfully aromatic, with all the soft fruit you expect from a Pinot, but with a nose and mouth tingling mineral backbone that can only come from limestone. Our block at Antle has the chunkiest limestone soil we have seen Pinot Noir vines planted on in California, and is a challenge to anyone skeptical about minerality in wine. Winemaking: 1/3 of the lot was de-stemmed and combined with the remaining 2/3 whole clusters in an open top fermenter where the grapes were gently foot tread or punched down 1-2 times a day during a native yeast fermentation. The wine was aged for 12 months in 10 year old 350L “Hogshead” puncheons. No SO2 was added to the wine until bottling. Vineyards: Antle Vineyard was originally named Graff Family Vineyard and was planted by Richard Graff, longtime owner of Chalone Vineyard. The Chalone AVA, with its soils of limestone and decomposed granite, has a storied history with Chardonnay and Pinot Noir including, of course, the infamous 1976 “Judgement of Paris”. Black raspberry, red apple skin, rose petal, mint, crunch, crunch, crunch . .